"Dr. Levi is by far one of the best dentists I've ever been to." "Great dentist, hygienist, and staff. My teeth feel clean and feel great!" "Dr. Levi has been my dentist for many years & I can't say enough good things about her!" "Cozy waiting area, attentive and knowledgeable staff, and high-tech equipment." "Not only is she a caring and skilled dentist, she is also honest and transparent." "I had a complete smile makeover and the results are fantastic." "The best dentist! They are SO kind, professional and take very good care of you." "I highly recommend Dr. Levi's practice for anyone looking for high-quality dental care!" "With Dr. Levi its just that much better, you almost forget that you are at the dentist." Dr. Levi provides her patients with a level of care that is second to none. She is expertly trained in complex and cosmetic dental procedures and following latest advancements in dentistry. 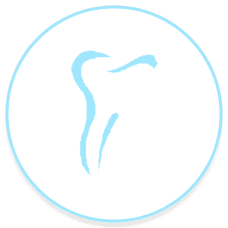 In addition to the above-listed services, she also offers 24/7 dental emergency service to ensure her patients in the Santa Monica and greater Los Angeles area get the dental care they need. Dr. Levi graduated in 1991 from the University of California, Los Angeles (UCLA) School of Dentistry. She received degrees in both dentistry and dental surgery. As a licensed medical professional, she continues her education on a regular basis so she can offer each patient the latest in technologically advanced treatments. One of her goals is to provide the highest level of dental care possible to as many patients as possible. Outside of the dental office, Dr. Levi is the mother of a wonderful set of triplets, two girls and one boy, and enjoys spending quality time with her family. All new patients receive a free take-home, custom teeth whitening kit with their full mouth x-rays, exam and dental cleaning. We offer 24/7 dental emergency calls. Call us today to learn more! We accept most major insurance plans. Here is a short-list of just some of the most popular plans we accept. Please contact our office if you do not see your insurance provider listed. Explaining the importance of flossing and how to properly floss. The clenching one’s teeth or jaw stems from a larger condition called bruxism, which often causes patients symptoms of discomfort and pain. "Dr. Levi is gifted dentist! I am the very pleased recipient of a crown that is perfectly fitted and perfectly matched to my teeth. I recommend her wholeheartedly!" "Well organized office with an incredible staff. I've been going there for years and plan to continue. Love the location." "I have gone to Dr. Levi for over two years now... she's been extremely attentive, competent, and always very professional." "Love, love, love Dr. Roya Levi and her team. So professional, kind and considerate. Dr. Levi made everything seem easy and much less painful." "I am SO happy to have found Dr. Levi and her team. Not only are they caring and attentive, but everyone here is incredibly welcoming and kind. " "Dr. Levi has been fantastic in coming up with a treatment plan that works for me. She is professional, warm, and takes really good care of you. I highly recommend her." "After Dr. Levi performed initial treatment, I felt a lot better - pain-free! Thank you for seeing me on such a short notice and being so competent and gentle." "She's given me crowns, fillings, and a veneer, and arranged for my gum grafts. Through all of these procedures I have found her to be skillful, patient, and caring." We are located on the 2nd floor, right above Pressed Juicery!